With almost a sickening twinge of happily ever after to it, DC and Marvel drew in the final sales report for last year. In December 2014, Marvel bet DC in terms of dollar share by .31%, whereas in unit share, DC trumped Marvel by 2.07%. In both instances Image Comics came third. Image Comics Saga retained it's hold as champion of the top graphic novels sold list, but enough about them, on to the top 6 comics! 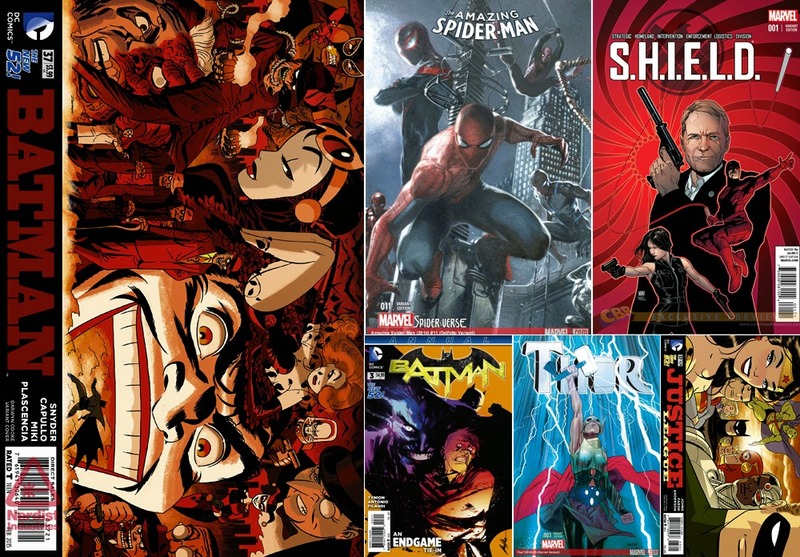 THE TOP 6 COMICS FOR DECEMBER 2014: 1) BATMAN #37 2) Amazing Spider-Man #11 3) S.H.I.E.L.D. #1 4) Batman Annual #3 5) Thor #3 6) Justice League #37 - Full stats after the jump. MY THOUGHTS: (Hopefully your eye caught it in the image above, but I'm thinking DC's mammoth month in terms of unit share is in part due to the best range of variant covers ever produced, thanks to the Silver Age stylings of Darwyn Cooke. These variants were often hard not to pick up off the shelf and drool over, many of which harkened back to the title in questions golden years, currently written off as part of the 'New 52' reboot - making them even cooler. 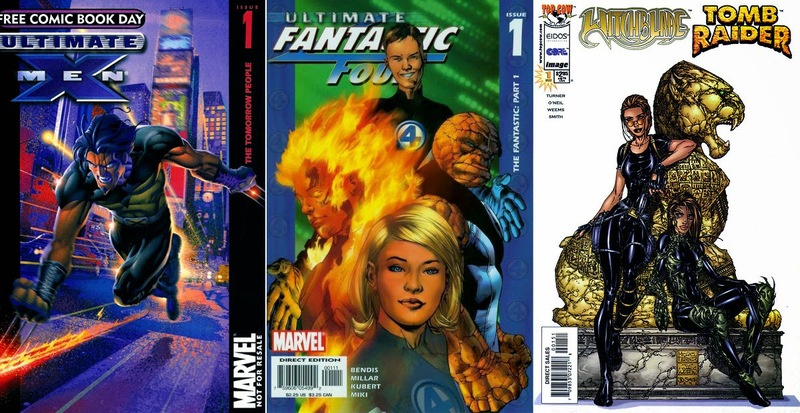 TOP COMICS OF DECEMBERS PAST: Ultimate X-Men #1 revamped the fan-favourite franchise in 2000, while Ultimate Fantastic Four #1 took top hours doing the same to the world's greatest comic magazine in 2003. Just to prove December isn't an Ultimate winner fest, Lara Croft made her comic debut in Witchblade / Tomb Raider #1 in 1998. Love that James Bond style Shield cover. I remember that too Random - boy it seemed like Witchblade and Top Cow were unbeatable at that point in time. Same with Marvel's Ultimate line come to mention it. Every time I see Michael Turner's art, it just reminds me of what a great talent he was, and one taken too soon.